Within a professional and confidential environment, I provide a safe and supportive space. You will be seen and heard with compassion and empathy. Together we will work through the issue of concern. I will support you to explore and understand the issues and how these patterns could be impacting you today. Together we will work through old beliefs and behaviours that may be leading you back to destructive patterns. Through exploration you can find tools to help overcome unhelpful thoughts and behaviours. Couples that find themselves unhappy in a relationship could find it beneficial to understand and gain awareness of potential triggering behavioural patterns. In a safe and non-judgemental environment couples counselling involves both parties gaining awareness around the behaviours each bring into the relationship from the past. I support couples to identify, understand and bring to light triggering behavioural patterns. 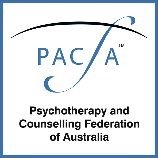 Based in Bondi Sydney’s Eastern Suburbs, Psychotherapist Mary Sutherland offers private counselling sessions. Providing clients with the tools and support for self growth. Mary offers her many years of holistic psychotherapy experience. Working in a safe and supportive environment, Mary guides her clients to self-empowerment. Contact Mary to discuss her approach and how you can work together. Located in Bondi, Sydney . Approved NDIS (National Disability Insurance Scheme) provider for therapeutic support.